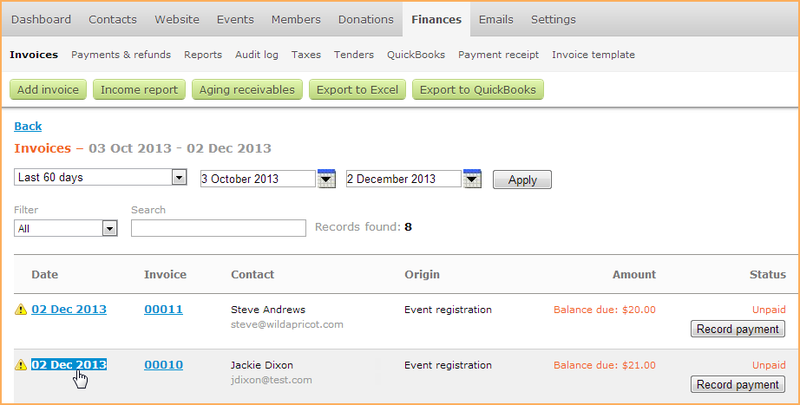 Administrators can view, print, or resend any previously created invoice. Members and contacts can also access their financial records, including invoices and payment receipts, directly from the Invoices and payments tab of their profile page. When you manually email an invoice, the invoice email will come from the email address you used to log in as an administrator, not your organization's email address. To email an invoice, first search for and open the invoice. From the invoice details, click the Email button at the top of the page. On the screen that appears, you review and finalize the email. 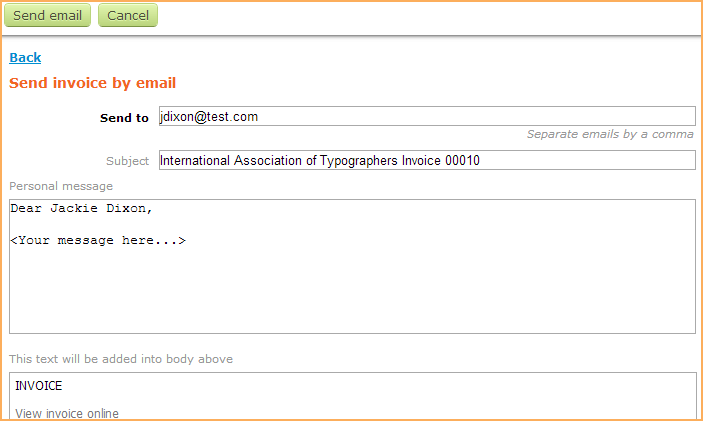 The Send to box contains the email address of the contact by default. If needed, you can enter a different email address or additional email addresses separated by a comma. The Subject box displays the subject line for the email – it defaults to your organization name followed by the invoice number. You can change the subject if needed. Under Personal message, enter an option greeting to display above the invoice. Below this box you will see a preview of the invoice being sent using your invoice template. To send the invoice, click the Send email button. Note that the default invoice template contains a direct link to the invoice that if clicked on will open the invoice. Once the invoice is opened, it can be paid online. You can customize the invoice template and remove the link if desired. Do not re-send a previously sent invoice from the email log – the macros will not work. Always open the actual invoice and email it from there. To email or print an invoice, search for and open the invoice. 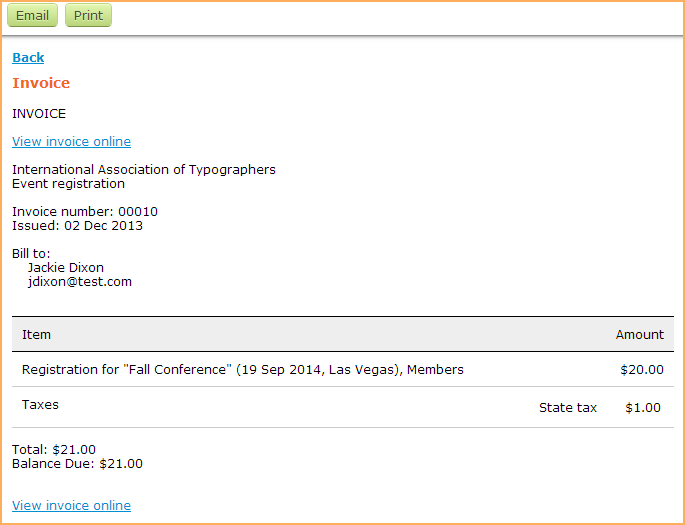 From the invoice details, click Preview & Print. Click Print to print the invoice or receipt, or Email to email it instead.